Are you looking for the perfect container for your loose change? The Crayola crayon tin banks are great to hold your coins. 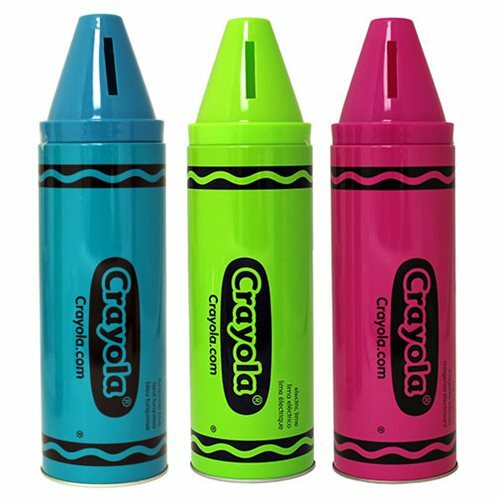 The Crayola Crayon Large Tin Bank Set contains 3 individually packaged tin banks. There are 3 different designs! Measures about 12-inches tall x 3 1/4-inches diameter. 1x Electric Lime Ages 15 and up.